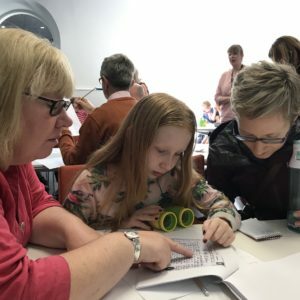 CorkDFAS facilitates opportunities for its members to volunteer to become involved in particular activities that would assist certain bodies engaged in the field of conservation, or holding collections that require ‘conservation’. These activities can range from minor but necessary tasks to some members ultimately becoming involved in actual conservation activities, following suitable instruction and training, and under professional supervision. 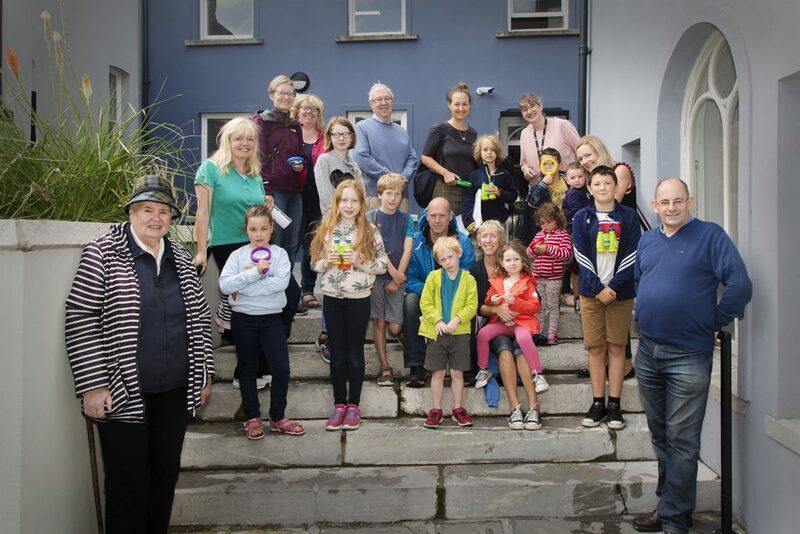 On Tuesday, 21st August member volunteers from CorkDFAS cooperated with Nano Nagle Place in holding a research quest for young people aged 8-12 years called Discovering the Goldie Chapel: 11.00 a.m. – 12:30 p.m.. The children were accompanied by a parent/guardian. 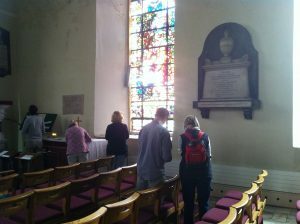 The children were guided to look at the stained glass windows and discover the stories behind the artworks. Spaces was limited to 12 children on each day. The volunteers were Garda vetted. A great time was had by the children, their parents/carers and the volunteers, as these photos show. 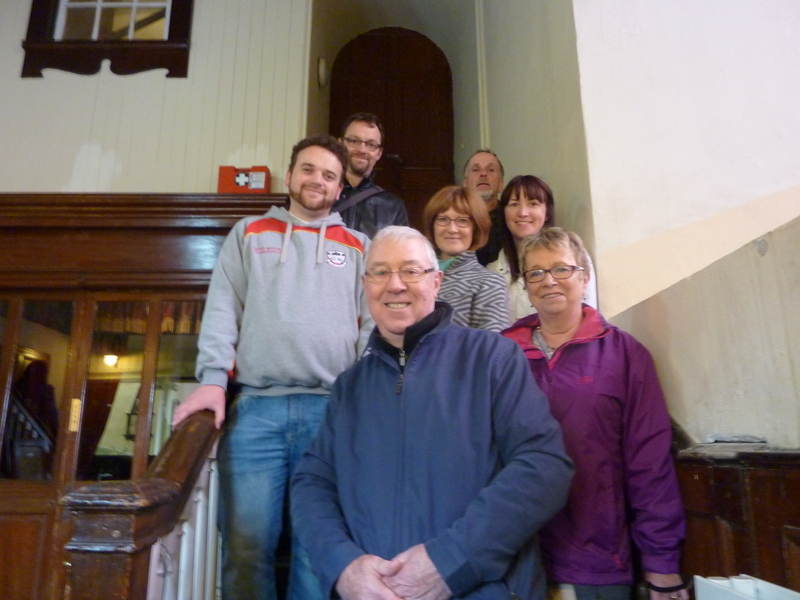 Thanks to the efforts of the Volunteering Coordinator and President 13 volunteers from among CorkDFAS’s members are presently engaged on a church recording project with St Anne’s, Shandon, Cork, a first in Ireland, with generous assistance from the Cork City Heritage Plan. 2017 sees the start of the second phase of this project. Funding has been generously granted under the Cork City Local Heritage Grant Scheme 2016. 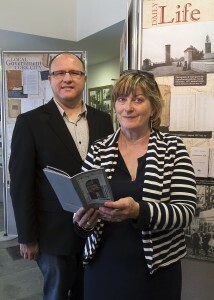 CorkDFAS was approached by the Public Museum, Cork and in response supplied a member of the Society who has recently (September 2016) finished translating Tomás MacCurtain’s handwritten diaries about Easter Week 1916. The second phase of this project has started in February 2017 for a 30-month period to conclude in time for the 1920-2020 commemorations. Brian McGee Chief Archivist with one of 15 CorkDFAS volunteers assisting throughout Cork Heritage Week at the “Moments in Time” exhibition. For details of the Exhibition see Menu, Institutional/Corporate Members. This event is open to both Members and non-members, and is restricted to 60 persons. CorkDFAS gratefully acknowledges the assistance provided by UCC Heritage Services and the generous funding provided by Cork City Council Heritage Grant Scheme. 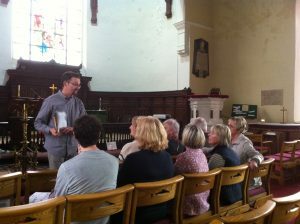 Our first Conservation Volunteers’ Workshop was held on 27th September 2014. 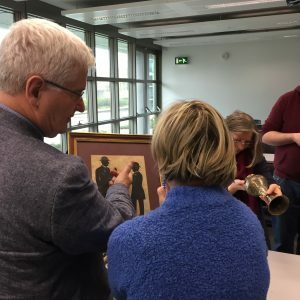 It was led by two professional conservators and held at UCC (details to be found on the sub-menu, Best Practice Workshop). Another member of the Society has agreed to work with the holder of a large collection currently in private hands of documents, records and recordings associated with former stonemasons’ activities in Cork with a view to possible archiving. 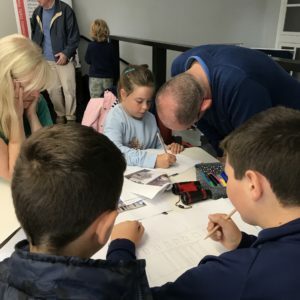 CorkDFAS aims to facilitate volunteer involvement by liaising and working with all relevant persons, bodies and organisations, including government agencies, educational bodies, heritage bodies, church bodies, local organisations, venues, collections, galleries, studios and individuals. Discussions have been initiated with interested bodies, including City Hall, the City and County Archive, Cork Public Museum, and the Central Library, Cork, and are proving to be positive and encouraging. 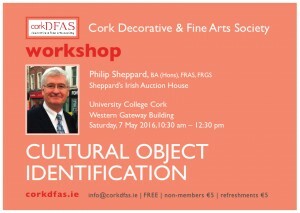 This initiative by CorkDFAS is being welcomed by those bodies that will be most involved. Cataloguing presents valuable materials of the past in a manner that they become an invaluable resource for the present and future. Cataloguing requires specialist training. 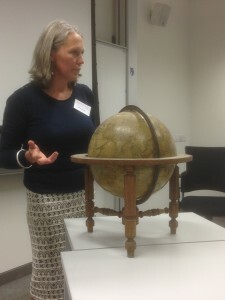 This may involve such objects as: books, textiles, furnishings, structures. Conservation requires specialist training. This is another aspect of volunteering. 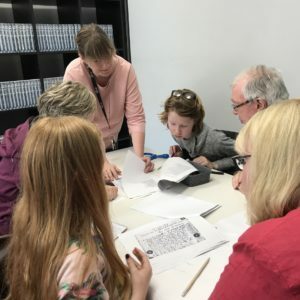 We hope to establish links with schools and colleges, together with other bodies and organisations, that would lead to involvement by young persons in art and heritage projects and competitions, and to practical, creative workshops involving members of the arts community. Discussions on these possibilities have already taken place. 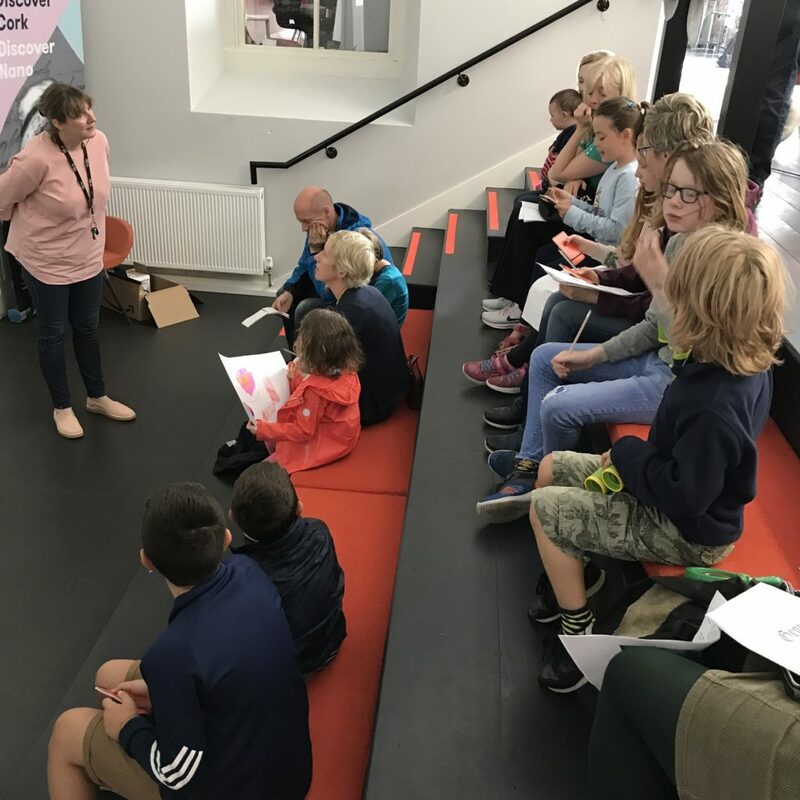 Church trails can also be established in conjunction with schools as a way of involving young persons in their local history and heritage from an early age.